Ellen's group Legendary Zeroes was interviewed by iHeart Radio about their Clubotomy EP. Listen to the Culture News podcast to find out what Ellen says about "tweetable lyrics". Ellen's project with Legendary Zeroes has gotten a review on the Band Camp Diaries website! 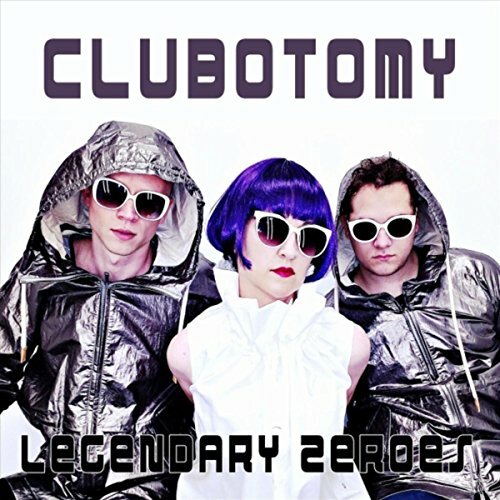 "Clubotomy" EP by Legendary Zeroes is OUT! This Summer, Worldwide Groove Corporation were part of the sound track for visitors of Sea World in Orlando, FL. Not only did Kurt of WGC compose and produce the entire musical piece to which the elaborate fireworks show was set, Ellen and Kurt wrote and produced a few songs to which dancers performed as part of the Electric Ocean event in the evenings. These songs are now available on iTunes. Check it out! "Cha-Ching" by Legendary Zeroes now on BandCamp. Ellen's new project as Legendary Zeroes has just emerged with the debut single "Cha-Ching"! Check out what Ellen and her crew have released. It's available on BandCamp. Worldwide Groove Corporation's collaboration with Matthew Perryman Jones which was featured on a promo commercial for the ABC drama series Quantico is now on SoundCloud. Check it out! Check out this TV ad for the upcoming ABC drama series Quantico featuring Worldwide Groove Corporation's remix of the song "Darkness" by Built by Titan feat. Svrcina. [not for kids] Check out the full remix below. A diverse group of recruits has arrived at the FBI Quantico Base for training. They are the best, the brightest and the most vetted, so it seems impossible that one of them is suspected of masterminding the biggest attack on New York City since 9/11. Priyanka Chopra stars. Worldwide Groove Corp Remix of The Loud and the Brave song now on SoundCloud. Check out what WGC did with the original song "Summertime" by The Loud and the Brave. It's pretty fun! Sony Music Entertainment has recently released Worldwide Groove Corporation's Remix of the hit radio single "Show Me Your Glory" by Third Day. Provided to YouTube by Sony Music Entertainment Show Me Your Glory (Worldwide Groove Mix) · Third Day ℗ 2015 Provident Label Group LLC, a unit of Sony Music Entertainment Released on: 2015-04-15 Associated Performer, Composer, Lyricist: Third Day Composer, Lyricist: Marc Byrd Composer, Lyricist: Mark Lee Auto-generated by YouTube. Check out the WGC remix of this great song by artist Emily Reid! Worldwide Groove Corp. REMIX of "Darkness" on ABC's Forever promos. Kurt Goebel's remix of the song "Darkness" by Built by Titan ft. SVRCINA will air on promotional spots for the show Forever on ABC this week and next. Check it out! Worldwide Groove Corporation composed and produced the main themes and back ground music for the new episodes of "Inside Fame" on CMT. You can stream them here.